Happy Sunday! 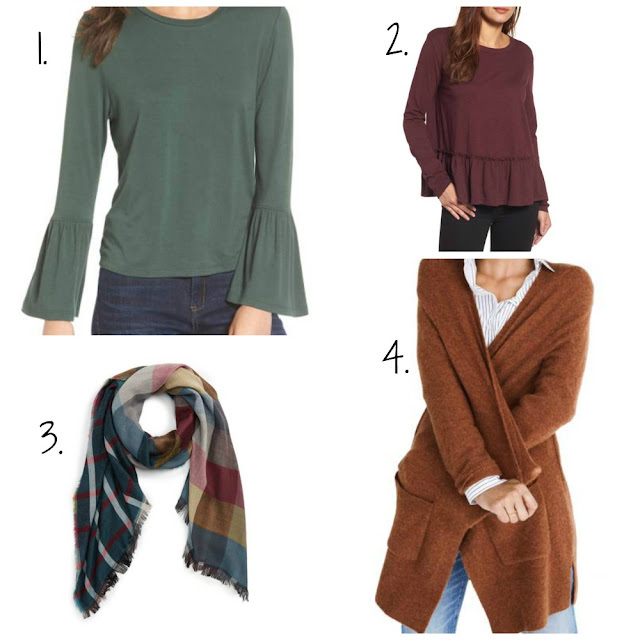 We're having some very rainy weather here in Vermont so I thought it would be the perfect time to share some pieces currently on my wishlist for Fall! I love this green color as it stands out from the typical olive green color most clothing comes in. It also is the perfect mix of casual and dressy, you could go either way with this top. I would personally pair it with dark denim & brown riding boots! 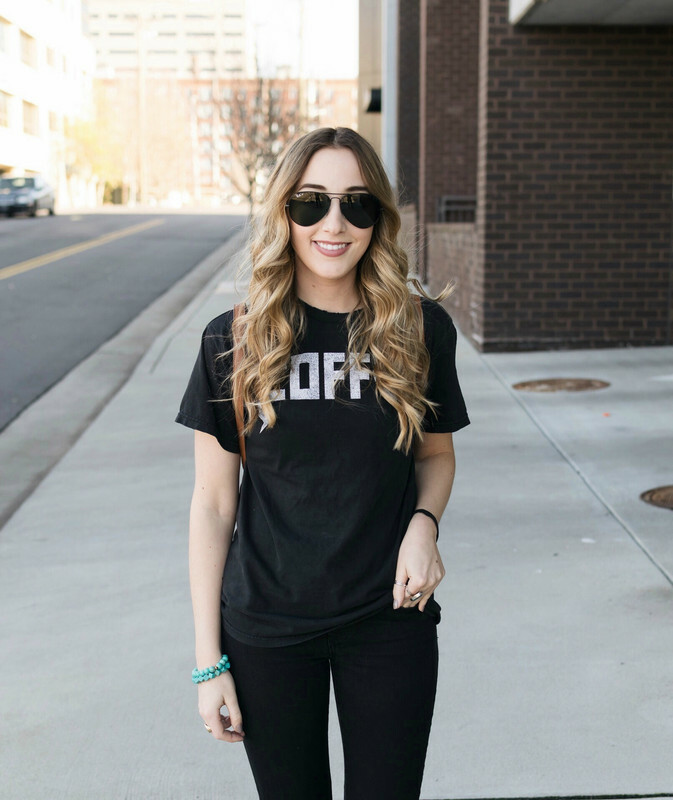 Again this top is the perfect pairing of casual and dressy. I think this would look great paired with black denim & booties! I love that the material is lightweight but the color makes it look like a cozy fall piece. This top would look great with a black wool hat! This scarf has the perfect colors for fall. I have a ton of scarves but I'm always looking for more- some are too warm for fall & some are too fluffy. This scarf is the perfect in between and won't make you feel too bundled up. This would look great paired with any of the tops I picked! I'm obsessed with the color of this cardi! It just screams fall! This would be great paired with a basic tee or tank & a pair of jeans & some loafers! What items are on your fall wish list!? Let me know! Everything you picked out is basically on my Fall wishlist. I love it! I'm the same way about scarves: definitely don't need anymore but that one is too cute to pass up! I definitely need to get some more fall dresses and skirts! Anything that looks cute with tights! I am looking for a great new pair of black boots! I have wide feet, so it can be difficult. I need that maroon top! I've been looking for maroon pieces for fall. Love all of your picks! Bell sleeves and peplums have been a fall staple for me. I love a cozy scarf!! I love all the colors in this! That green top is so pretty! I just got a plaid scarf. They are the best! I am obsessed with bell sleeves, so that top is perfection! I'm wishing for great fall nail polish colors! Cute scarf. Love the scarf and those cardigans! I totally love your weekly wishlist! The Madewell cardigan is so cute! I have a similar one that I bought last year but it's already starting to fall apart, unfortunately!